Winning, like so many other things, is a habit. But if you can inject some winning into the locker room with your recruiting classes, that’s a good way to help things along as well. Add 25 guys to a room that have done nothing but win over their last four years and you’re undoubtedly going to see competition levels rise. The old guys want what the new guys feel and the new guys don’t want to lose it. When head coach Scott Frost officially announced Nebraska’s 2019 recruiting class — a class that runs 23 deep already after the early signing period and has the Huskers’ sitting at 24th nationally — winning was a topic of discussion. “People that know how to win and expect to win," Frost said of his class. "I don’t think it’s any accident that if you have a bunch of winners in your program and kids that come from winning high school programs that that’s going to lead to good things. And Nebraska's current class won a lot. Just between the 23 who have officially signed, they won a combined 235 games this past season. Five had perfect seasons that ended in state championships while three more only lost one game all year, 10 kids played in a state title in 2018 and 14 of them at least made it to their state's semifinals. Over the last four years of Nebraska classes (only players signed for 2019 and players enrolled for years previous), the winning percentage isn't better, but the number of kids playing in high stakes games sure is. Simply winning a bunch of games is nice, but in Frost's two classes, he's had 19 players who played games with some kind of state or national title on the line. 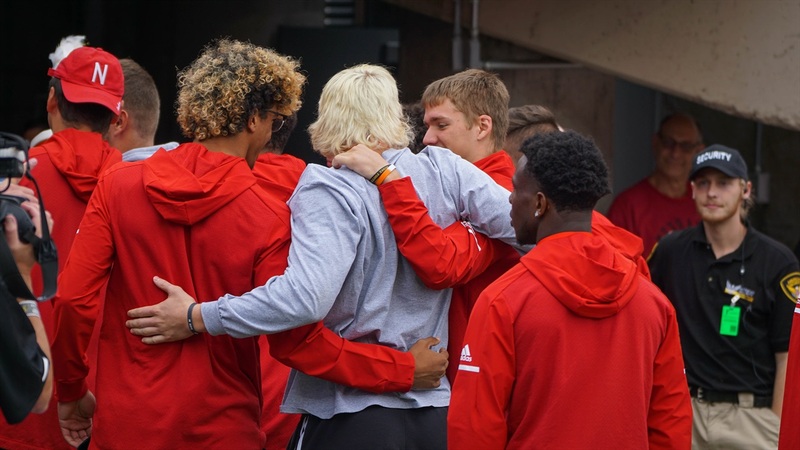 The goal at Nebraska is to get to that, to play in games where there are Big Ten titles on the line and Playoff berths on the line. Having kids that have been in those types of environments before can pay dividends down the road. There's obviously more to winning big at the college level than just adding a bunch of high-pedigree high school athletes — development is a crucial piece of the pie that too often gets overlooked — but if you add guys with winning mentalities, those don't easily go away. Because they show up more throughout the week. As Frost has preached time and again since taking over at Nebraska, winning on Saturday is about winning throughout the week. That's not a concept exclusive to the college game, so it's safe to expect those coming off championship-level seasons to bring that same approach to the practice field. There is probably someone out there with more free time who can figure out if there's a connection between a recruiting class's high school win percentage and their four-year college win percentage but it would stand to reason there would be at least some kind of loose correlation. Maybe that's a case study for these first two Frost classes. He wanted winners and so far he has gotten them. We'll see if they can keep on doing the same.